Hi, Good Morning. Thank You friends and viewers. 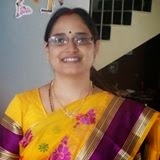 Today I will post how to make coconut rice recipe. During festival season we do not use onion and garlic. We collect a lot of coconuts and to make the best use of it, we make different varieties with it. Coconut curry, coconut rice, coconut ladoo, coconut laskora, coconut powder, coconut burfi, coconut in vegetables are some of them. 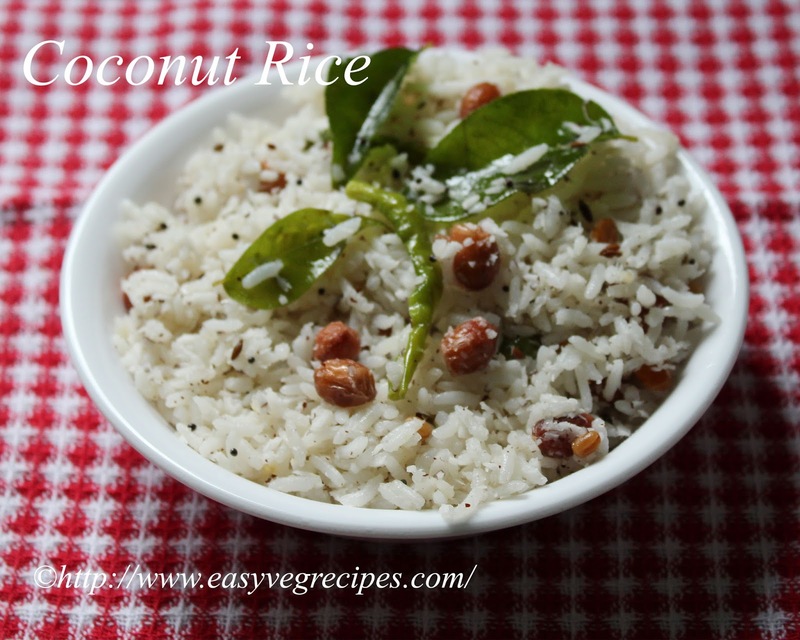 This coconut rice is made during a festival season without onion and garlic. 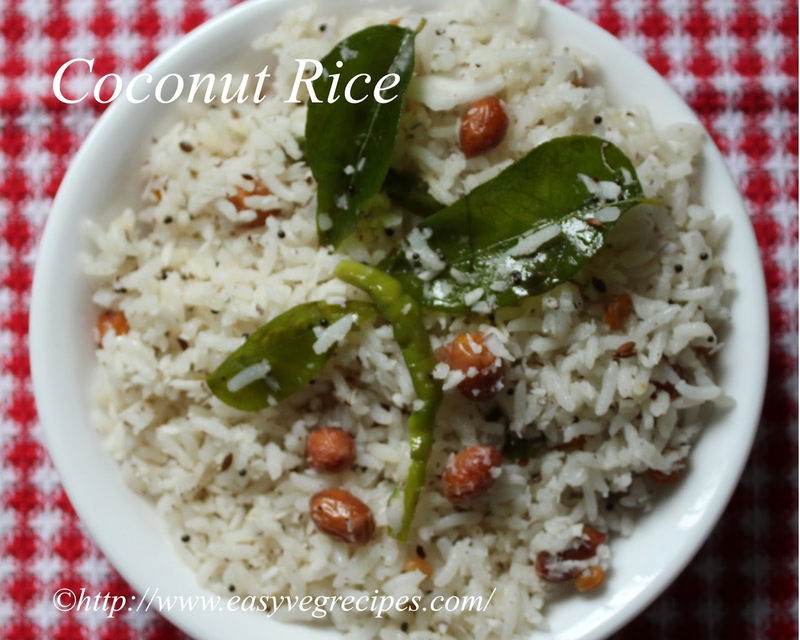 The sweetness of coconut and spicy green chillies makes it a flavourful rice. It can be served without any side dish. I prefer to add freshly shredded coconut, instead of ground coconut powder. Pressure cook the rice with 3 cups of water. I took 1:2 ratio of rice and water. If you are increasing rice quantity, increase water quantity also. Once cooker cooled, spread the rice onto a wide plate. Split green chillies and shred coconut. For shredding coconut, take out the coconut flesh from its shell and grate it on a cheese grater. Wish to remove the hard skin of it can remove, but I did not removed it. Heat oil in a kadai, add groundnuts, fry them till they turn ligh brown colour. Add bengal gram and black gram to it, fry them and then add mustard seeds and cumin seeds. When they start spluttering, add asafoetida. Add split green chillies and curry leaves to it. Fry them till they turn crispy. Add this tempering to already spread rice. Add salt and shredded coconut. Mix all this well with a spatula. Check salt and transfer this to a serving plate. Serve coconut rice with curd or any pickle.